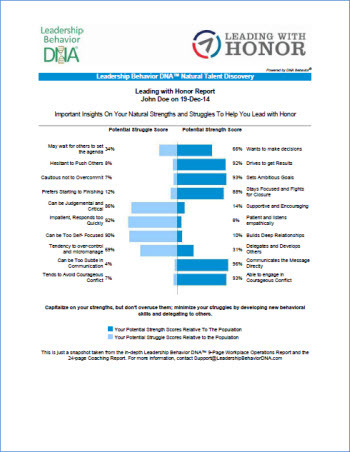 We offer half or whole day training events for your team or staff led by a certified Leadership Behavior DNA trainer. The LBDNA Report is the basis for these live events, and events are customized to meet the specific needs for your organization. Clients consistently see immediate positive improvements in individual and team morale, transparency, and unity. Many of our organizational clients like the accessibility and ease of having a certified LBDNA Certified Advisor inside their organization. Independent consultants also see the value in providing LBDNA as an important component of their service offering. Are you a Human Resources or Training Professional working in an organization that would like to use Leadership Behavior DNA with all new and tenured staff? Are you an independent consultant that would like to offer LBDNA as part of your products or services?